Scoop in style with this Fineline 3314-WH white disposable 6 oz. utility and ice scoop! Great for ice buckets, candy displays, popcorn bars, and more, this scoop is perfect for serving up to 6 ounces of product at a time. Made of polypropylene, this scoop boasts durability and longevity, yet it's also disposable so you can throw it away after use if needed. Its white color has a fresh appearance and is sure to complement the decor of many events! 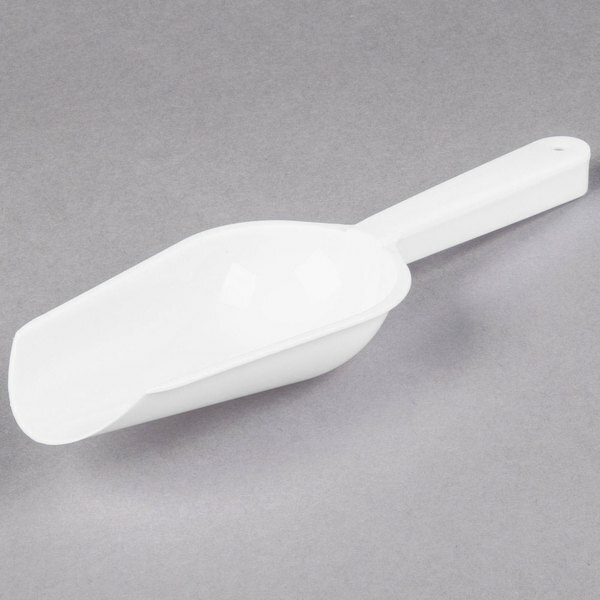 From birthday parties, weddings and other catered events to concession stands and carnivals, this Fineline scoop is a versatile item for your serving supply! Very please with this item. Brought for party setup and everyone was happy to have their own ice scoops per table. Highly recommend this item!! 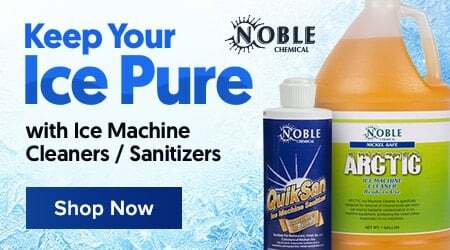 I really like the FineLine products now, i gave them a try because of the price, but despite their inexpensiveness, this company uses good materials and you can tell they out time into their manufacturing so we the customer get good quality! 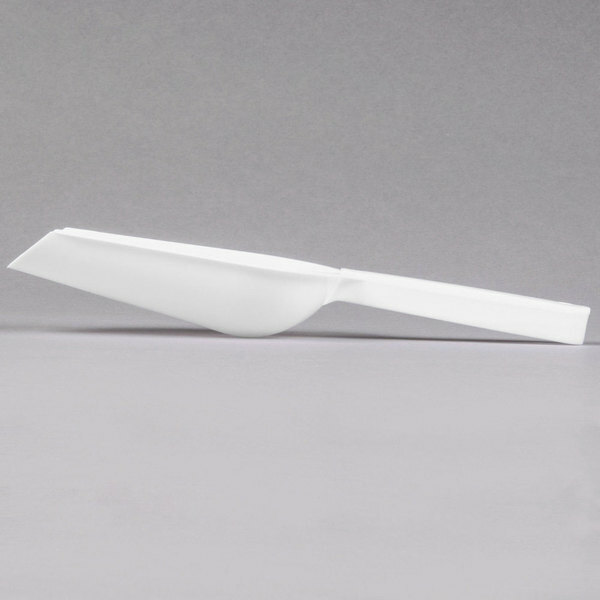 Good quality polypropylene scoop which can stand up to multiple uses, despite being labeled as disposable. 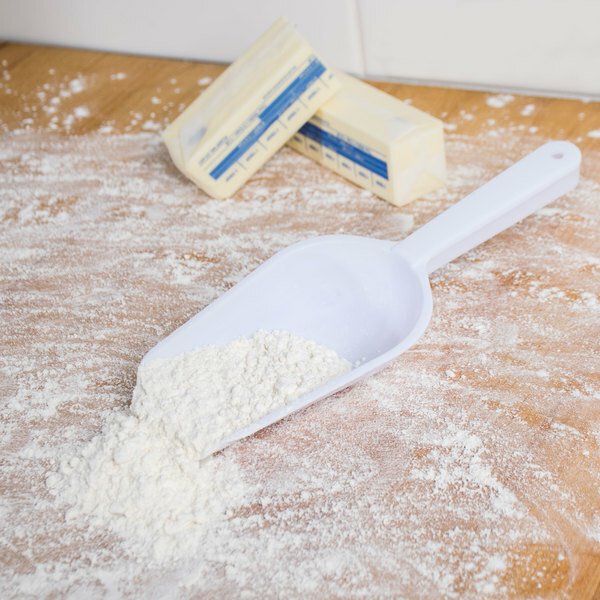 It does flex a bit with use, but is still sturdy enough to scoop ingredients. 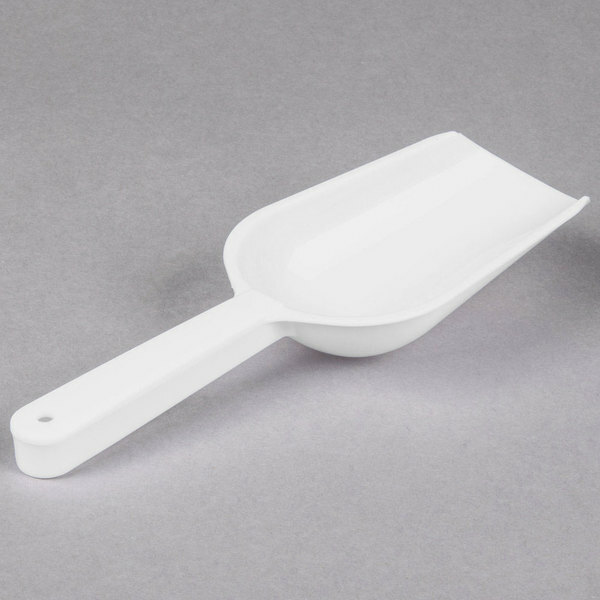 This white plastic scoop arrived yesterday. It is made of tough plastic but is flexible. I an going to use it to scoop up bird seed from the bag for my birds. 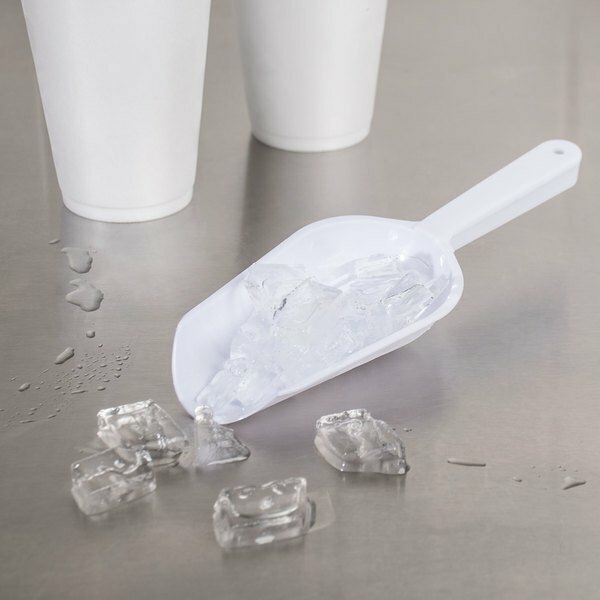 I would not spend money on this ice scoop. It is a single use product, or at least will not last through many uses. Just buy a non-disposable scoop instead. Nice little scoop. Nothing too strong, but it's reusable enough for lightweight items. I bought several of these because I can have them color coded for different things. Don’t waste your money. This cheap plastic didn’t stand a chance against the ice. It broke almost immediately. I’m now using one from my local dollar store and it’s working just fine. We use this “ice scoop” as a topping scooper at our shop. We use it to take toppings from the big bin to our little containers and it is durable and cheap enough to have multiples of! 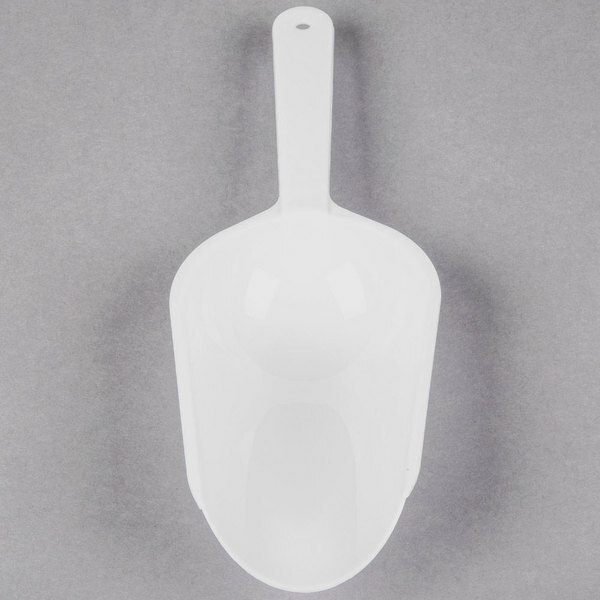 Light weight and easy to wash and to dry, this white scoop holds six ounces. It can be used to scoop ice or to scoop other food-related items such as ground coffee. This is a great little scoop. Even though it is disposable, it can be hand washed and used more than once. It is perfect for scooping sunflower seeds from my container. 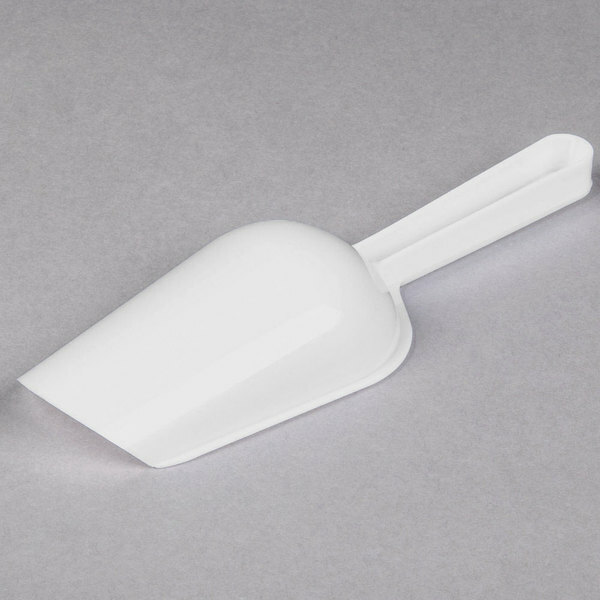 This white scooper is 6 ounces in capacity and can be used for both dry goods and scooping ice among other items. It is made of strong plastic that is recyclable and BPA-free and is inexpensive enough to be a disposable product. These scoops are very fragile. They bend very easily when you have them full. We originally bought them for ice but we are now using them for seasoning. Can't go wrong with this ice scoop. They say it's disposable, but I've gotten plenty of use out of it. I keep it in the freezer for whenever I need to grab ice for drinks. This is a great, effective scoop! We used it for a big bowl of Chex mix at our wedding, and it worked perfectly. Could be used for a million things! The Fineline 6 ounce utility and ice scoop is very useful around the house. I use it for practically everything and am very impressed by its high durability. good product, one of the smaller sizes but is definitely functional and I like the plastic ones more personally because they don't absorb cold like the metal ones do, good product! The Fineline 3314-WH Disposable 6 oz. White Utility and Ice Scoop met my expectations. The quality is good and the price is as well. Definitely recommend!